It is a frustrating feeling not able to convey your ideas and feelings in words. They do their best using actions, expressions and gestures, but still only their family is truly able to understand them. People, especially kids, with language disorders have to face this frustration every day. 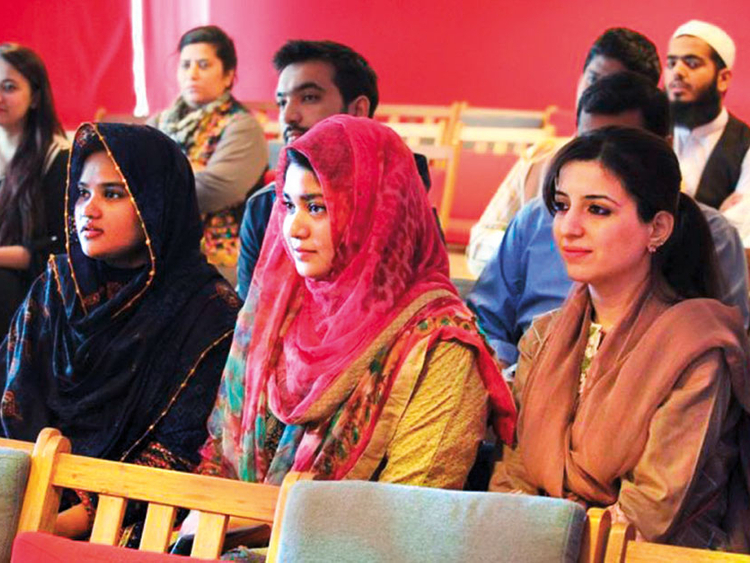 To change this situation and give voice to the voiceless, two Pakistani female entrepreneurs – Shanza Khan and Rabab Fatima – have developed clinical software called Bolo Tech which they claim to be the world’s first speech therapy platform in Urdu language. In an interview with Gulf News, Shanza, 23, explained that the main reason behind developing the software was the absence of facilities in Pakistan for patients with speech and voice difficulties. “Bolo Tech will let people with speaking disorder to speak and communicate just like the rest of us” Shanza said, adding that according to recent survey results about 13% of Pakistan’s population suffers from speaking and communication problems. Apps are one the best ways to help people with special needs as they offer playful and accessible solution for everyone. But most Apps are only available in English language. Understanding the need for such a product for Pakistanis, Bolo Tech strives to provide speech therapy solutions in Urdu language to people suffering from speech problems and improve communication disorders and assist the hearing impaired with and without gadgets such as hearing aids. The two software engineers from Karachi’s Jinnah University believe Bolo Tech software could be a game-changer for not just kids but also hearing-impaired adults have to rely on sign language to communicate. “Bolo Tech will provide them a platform to find their therapist or they can practice their language skills on their own” Rabab, 23, explains. Speech therapy is exceptionally expensive in Pakistan with one session costing between Rs3,000 to Rs5,000. “Besides, there are not many expert therapists available to patients. Our online software will bring this cost down” as the service would be available at very affordable price. Talking about the functions of the software, Rabab says that the software integrates audios, visuals and games hat help with correct pronunciation of Urdu words and alphabets. It also includes lessons plans based on Urdu Qaida and offers interactive games that stimulate learning. “The online software will record all speech exercises which will then be monitored by therapists who would recommend the patients what to do next,” she says. It would make it easier for people with speech disorders to find a therapist online on the website. Bolo Tech team is contacting the country’s speech therapists to be available online for the people with special needs. Currently, they have around seven therapists on board. Bolo Tech initially began as a University project. “It was during our visit to Pakistan Disable Foundation that we realized how people struggle with something as essential as speaking. We then learned that speech and communication practices in Pakistan are time consuming, ineffective and inaccessible. So, we decided to work on it to make things simple and automate the process,” Shanza told Gulf News. Support from family and friends were also big motivation for the girls. “My father and mother are the true supporters and inspiration for me” says Rabab. After successfully testing the software, the girls contacted The Nest I/O, Karachi’s tech incubator, supported by Samsung, USAID and Google, where they received intensive training, access to technology and investors. They also received some funding from ILM Ideas 2 which offers grants to help scale up education solutions. As for the team, Bolo Tech is still looking for people who are as passionate as the founders are. The first version of the software, as web application and mobile application, is scheduled to be launched next month in three schools, which include Pakistan Disabled Foundation and Visl Wes School for children with special needs and slower learners. “We are still in the learning phase, trying to make our product better every day” Rabab put in. “We’d love to try the software at schools in Karachi, Islamabad and Lahore and interact with kids all around Pakistan.” In future, they plan to develop lesson plans and curriculum in regional languages of Pakistan. Pursuing Master’s degree in Computer Science is also one of their future plans.